Do you have an active account on Amazon? Do you want to pay forward some Indie author love? We will accept you. Were a bit crazy and we have a loon or two but we love them all the same. Once in the group see the top pinned post. These are the books we are featuring. We need help on those books ASAP. Every Friday all the authors in the group gets to ask for reviews on their books above and beyond the featured authors…. thus you can fill up your Kindle for free. All we ask in turn is for you to leave a minimum of 21 words on Amazon telling other readers if you loved, liked or hated the book. That is it. From time to time we have giveaways, we always have a chat or 20 going and we share, like and love each other. If authors wish to join this is easy. Join but remember that we will expect you to pay it forward as well. If other authors review your book return the favour. If you really can’t read all their books, then like their pages, share their giveaways and show us that you care about your Indie community and in turn we will show you how much we care for this community. A Peace Corps volunteer has gone missing in Bulgaria and everyone assumes he is dead, everyone except his grandfather, who refuses to give up hope. Retired literature professor Simon Matthews launches a desperate search only to be lured into a bizarre quest to retrieve a stolen Thracian artifact—a unique object of immense value others will stop at nothing to recover. Matthews travels through a Balkan landscape dotted with ancient tombs and fortresses, unaware that his grandson has been confined to an isolated mountain cabin, slowly recovering from a severe head injury. Nothing can be taken at face value, as the woman assisting Matthews in his quest and the nurse caring for his injured grandson may have ulterior motives in helping the two reunite. 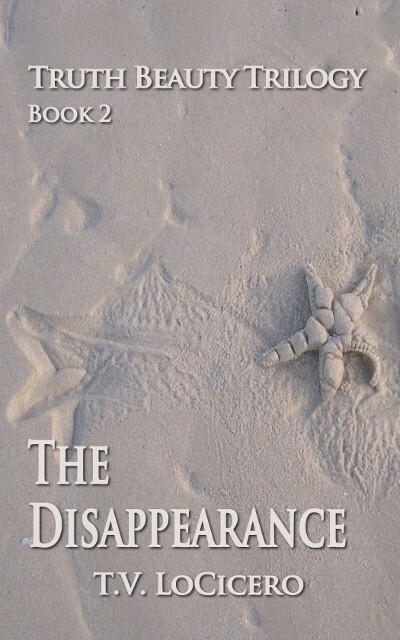 Even when Matthews succeeds in joining up with his grandson, departure from Bulgaria is only possible if the missing relic can be found. “Valley of Thracians” is a wonderful book about grandfather Simon travelling to Bulgaria to track down his missing and declared-for-dead grandson Scott. The latter used to work for the Peace Corp in Bulgaria before going missing. With some reason to assume that Scott is still alive Simon starts his own enquiries and with help from some locals he finds indeed new evidence regarding his grandson. The story is told in four parts and changes perspective throughout. 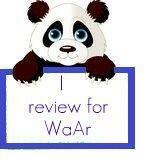 This serves the storyline very well and gives the reader a chance to be more involved in the plot. Starting with Simon’s perspective it is a slow burner, building up only gradually as at first Simon learns little and comes across as stubborn and full of wishful thinking. The writing in the first few chapters includes a lot of interesting background information about Bulgaria and its history, culture and people. Those parts are skilfully woven into the dialogue and make for a great read. As the storyline moves along we get less of the (well received) tourist information and move swiftly into darker territory of organised crime, smuggling, drugs, corruption and so forth. As the second voice takes over the narrative the pace picks up and never lets us down again throughout the whole action packed plot until the end of the book. Well written and full of great characters the book turned out to be a rich and exciting read, with huge expert local and historical knowledge that gives this thriller a great unusual and well chosen backdrop, without taking away the focus from the actual story. It is a rare find to have great suspense and almost educational details combined and work together so well. Q: You know an awful lot about Bulgaria. Can you briefly describe your connection: Why, when and how you got there? I was working in an international marketing company with headquarters in Tel Aviv when my boss informed me that my position was being relocated for two years to Sofia, Bulgaria. This came as a total surprise to me. I was not as young as most of my colleagues; my wife was studying interior design; our parents were elderly; and our children were in Israel. Yet, we accepted this once-in-a-lifetime challenge, packed up our house, and moved to Bulgaria in January 2009. Q: In brief, what was the experience like? Although we had been born in the United States, my wife and I had never lived as adults outside Israel. We also had never lived in a big city. Setting up a home in Sofia was quite a unique experience just for those reasons. But, we had never expected Bulgaria to be such a beautiful country. Alongside getting settled into the daily routines of our jobs, we took advantage of every spare moment to explore Sofia, and all of Bulgaria. On weekends we traveled all over the country. Bulgaria has a bit of everything – mountains, forests, beaches, historical sites, museums, and amazing food. And we enjoyed making many Bulgarian friends. We tried to learn Bulgarian and managed in the language a bit, but most of the time our English was sufficient. Q: Tell us a little about your blog. While we were living in Sofia, my wife and I took turns writing about our experiences for a blog called Ellis and Jodie’s Bulgarian Adventure. At the time, there weren’t too many English language blogs telling about life in Bulgaria, and our blog attracted a lot of interest. When we came back to Israel, I continued to write, not only about Bulgaria, but also about life in Israel, as well as book reviews and articles about the craft of writing. This blog, which is entitled Ellis Shuman Writes, is updated regularly. Q: Have you written any fiction before this book? My wife and I were founding members of Kibbutz Yahel, in Israel’s southern desert. Although we no longer live on a kibbutz, I have many fond memories of our pioneering days. The kibbutz is no longer the idealistic, communal society that it once was. 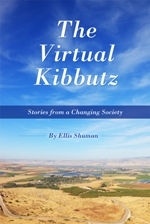 My short story collection, The Virtual Kibbutz, tells about the changing society of the kibbutz. Q: When did you have the idea for the plot of your book? Was it always going to be set in Bulgaria or did you ever consider a different location? In addition to the short stories, I have started quite a number of novels, and some of them became complete manuscripts. All of these novels dealt with life in Israel, and as such, they were very much about me and my family and not completely fictional. There are not too many books in English that feature a story taking place in Bulgaria. In fact, most people don’t know anything at all about Bulgaria. I decided that in order to set my writing apart from others, I needed to write a story about Bulgaria, introducing readers to the country’s culture and history. And in addition, I wanted to write something suspenseful that would keep readers turning the pages. Q: The book contains a lot of knowledge about the history and culture of Bulgaria. What is the one thing that fascinated you the most? When people speak about modern Bulgarian history, they refer to the country’s liberation in the 1870s from 500 years of Ottoman rule. 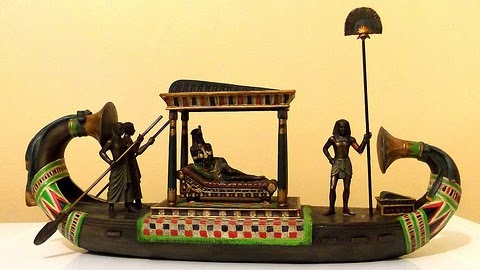 But there is a more ancient history as well, one that has left its mark in tombs and relics all over the country. The Thracians ruled this area of the Balkans at the time of the Romans. There was something about this ancient people, which barely left a trace of its language or traditions, which fascinated me. 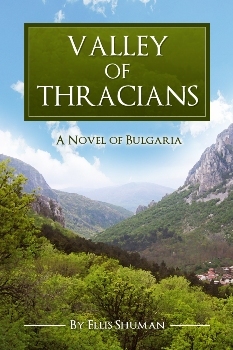 I decided to work in some of Bulgaria’s Thracian history into my plot. Q: You speak a lot about the Jewish community in Bulgaria. Would you say that the experience of living in Bulgaria for a Jewish family is notably different from other countries, and if so, how? Not too many people know this, but Bulgaria’s entire Jewish community, some 50,000 people, were saved from the horrors of the Holocaust. And this, despite the fact that Bulgaria sided with the Nazis. While there are many theories why the Jews of Bulgaria were saved, most attribute this rescue to the fact that ordinary Bulgarians were unwilling to let their fellow citizens be deported to the death camps. Today, Bulgaria is a very strong supporter of Israel. Many Bulgarians we met told us that they have an uncle, or a friend, living in Tel Aviv. We felt very safe as Israelis living in Bulgaria. Q: How westernized is the country by now? Bulgaria joined the European Union in 2007, yet it remains one of the poorest countries in the EU. With low wages, unemployment, corruption and lack of basic infrastructure in many places, Bulgaria has a lot of catching up to do. What we enjoyed in Bulgaria was the fact that even though there is a lot of modern construction, fancy shopping malls, and seaside resorts, there is still strong respect for the country’s past. Historical villages preserve their culture, and it’s not unusual to see a shiny Mercedes pass a donkey-drawn carriage on a cobblestone city street. Q: Did you need to research a lot for the book? Everywhere we travelled in Bulgaria, we learned about the country. We visited many ethnographic museums, ate in the local restaurants, and enjoyed the historical sites. I guess this was all part of my research, even though I didn’t realize it at the time. After coming back to Israel, I continued to research specific aspects of Bulgaria that would feature in my novel, like remnants of the Thracian language and the silver-work these talented artisans produced. I worked on the book for about two years until I felt that I had achieved a balance between suspense on the one hand, and an introduction to Bulgaria. Q: How did you edit the book? There came a point when I realized that I had finished writing, and rewriting my book. I had shown the book to others, incorporated their suggested corrections, but I knew that I needed professional help. I searched on the Internet and found a very talented freelance editor, Amber Jones Barry, and with her help, I improved the manuscript and took it to the next level. Q: Who did the cover? It was important for me to have the cover show how stunning Bulgaria is. The photograph was one that I took on one of our many travels in the country, in a valley not far from where many of the Thracian treasures mentioned in the book were discovered. 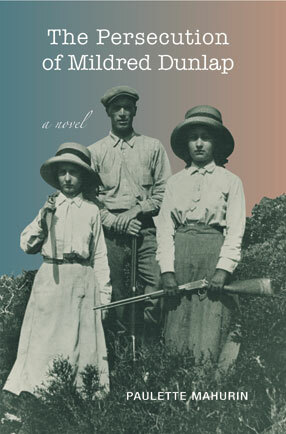 A former colleague of mine, Shiran Waldman, helped me design the cover. Q: Have you currently any new projects? As part of my marketing efforts for Valley of Thracians, I have been writing many guest posts about travel to Bulgaria, how incredibly affordable it is. In addition, I have been plotting out and writing my next novel, which will also take place in Bulgaria, but will be completely different from my first book. Q: Who are your literary influences? I read a lot of different genres, but I am most excited to read works of Israeli authors that have been translated into English – I speak Hebrew but prefer to read in my mother tongue. I am always searching for books written by Bulgarian authors. The books I enjoy the most are those I just can’t put down, and very often these are thrillers. I wanted readers of my book to feel the same way. Some Bulgarians who have read Valley of Thracians have called it the Bulgarian Da Vinci Code. Ellis Shuman and his wife, Jodie, lived in Sofia for two years 2009-2010. During that time they maintained a very active blog, Ellis and Jodie’s Bulgarian Adventures, detailing their travels. 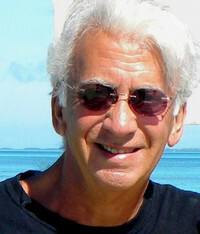 Ellis is the author of Valley of Thracians, a suspense novel set in Bulgaria. 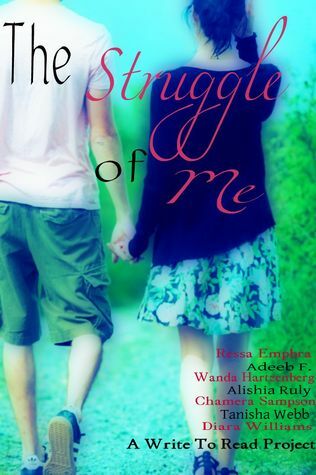 The book is available at Amazon in Kindle and paperback editions. Ellis writes frequently about Bulgaria, Israel, and other interesting things at his blog. fresh from the printing press, today the spotlight is on some of his other work. This true crime book is a precise and harrowing account of the assassination of Rabbi Morris Adler by 23-year-old Richard Wishnetsky, a Phi Beta Kappa scholar at the University of Michigan and a Woodrow Wilson Fellow bound for the Divinity School at the University of Chicago. A troubled intellectual seeker, Wishnetsky knew Rabbi Adler one of the nation’s most prominent and venerated religious leaders, yet he settled on this learned and charismatic man as the appropriate target of his deepest rage. “Murder in the Synagogue” by T.V. LoCicero is a meticulously researched work of non fiction about an act of terror/ violence in a synagogue in 1966, on the day of Abraham Lincoln’s birthday in June. LoCicero tells with descriptive accuracy and astonishing objectivity the life of the perpetrator Richard Wishnetsky, a 23 year old Jewish man, by using eye witness accounts and explaining the socio-cultural, religious, ethnic and personal background of Wishnetsky and his generation. It was this section that I personally enjoyed the most, myself, like LoCicero, a gentile writer about Jewish themes. I was impressed with the knowledge and deep understanding of the complexities and multitudes of Jewish life, particularly at that time and going back to Wishnetsky’s family roots. We witness a seemingly happy and content, socially acceptable man gradually slip into a less conformist eccentric man with a thirst for meaning. We also get to hear about his psychological state from a medical perspective and are offered some names and conditions, such as despression and schizophrenia that might characterise Wishnetsky. LoCicero also shows the life and work of the Rabbi, present in the Synagogue on that fateful day, the man that ultimately gets shot by Wishnetsky before the latter kills himself. Only in the epilogue does LoCicero give his own personal interpretation of the mad action in the Synagogue. Despite the earlier objectivity I felt as if I had a true understanding of the man and his troubles, as far as that is possible to achieve with a murderer. The conflicts and the general background of Wishnetsky are not offered as an excuse but they paint a great picture. Having read this book in the week where a mindless act of terror is dominating the media has probably added to the impact the book had on me. Tell us a little about yourself. How did you come to writing in the first place, before it became a career? First, thanks so much, Christoph, for your interest. You are such a talented writer and wonderful person, and I’m pleased that you asked me to spend a little time on your blog. At 15 I began writing weekly for 3 local newspapers about the exploits of my high school’s sports teams (One of our star players would end up in the NBA Hall of Fame). At the University of Michigan I took writing courses so I could spend as much of my time as possible writing, and in my grad school year I won a prominent college writing award for 7 short stories. 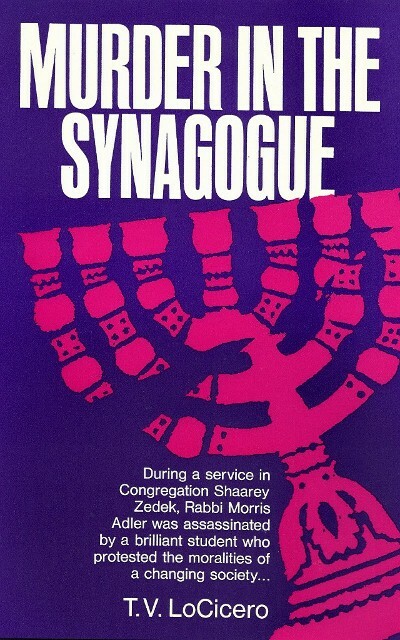 How did you come to choose the “Murder at the Synagogue” as subject for your book? What were you working on before or was it your first book? It might be more accurate to say Murder chose me. Two years out of grad school I was working on a novel and teaching at a college located about a half mile from the synagogue where Rabbi Adler was assassinated. This was the middle of our troubled ‘60s, with wars in Vietnam and between the generations, the assassinations of the Kennedys and King, horrific mass murders, etc, and when a newspaper published writing from the rabbi’s young assassin, I felt this terrible story might offer some insight into the chaos we were living through. 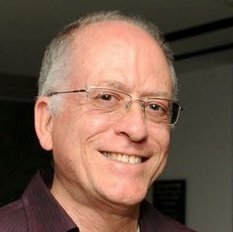 I had been writing only fiction, but I abandoned the novel I was working on and wrote an article that was published in the Jewish intellectual magazine Commentary. Then I heard from a number of agents and publishers and soon signed a contract with Prentice-Hall. What was the most fascinating aspect of your research? Three of my grandparents were born in Sicily, and I was raised a Catholic. But many of my friends from college (including my first girlfriend) were Jewish and so were most of my favorite writers. So I was already fascinated with Jewish culture, religion and history. In college I had nearly headed for psychiatry, and violence in American society was a subject of deep concern to me. So I found every aspect of this story powerfully compelling. Was writing it a chore or were you drawn into the subject well enough so that it became a pleasure or a fascination? What have you been doing since then professionally? At one time or another I’ve found work as an industrial spy; a producer of concert videos for Rolling Stone’s greatest singer of all time; one of the few male contributors to Gloria Steinem’s Ms. Magazine; a writer of an appellate brief for those convicted in one of Detroit’s most sensational drug trials; the author of a true crime book that garnered a bigger advance than a top ten best-selling American novel; a project coordinator/fundraiser for a humanities council; a small business owner; the writer/producer/director of numerous long-form documentaries; a golf course clerk; a college instructor who taught courses in advanced composition, music and poetry appreciation, introduction to philosophy, remedial English, and American Literature–all in the same term; a ghost writer; a maker of corporate/industrial videos; a member of a highway surveying crew; a speechwriter for auto executives; a TV producer of live event specials; an editorial writer; the creator of 15-second corporate promos for the PBS series Nature; and a novelist. There is a sense in which that last occupation was the reason for all the others. Almost anyone who’s ever tried to make ends meet as a novelist knows what I’m talking about. 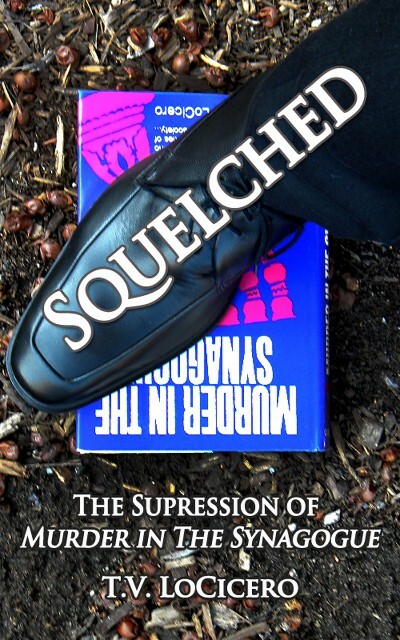 In “Squelched” you write in detail about the suppression of your story. Has writing this been at all cathartic for you? Yes and no and yes. First yes: because clearly I needed to have my say. Then no because it’s original fate (complete rejection and the manuscript lost to me for 30 years) only added to my frustration. And finally yes, again, now that the new world of self-publishing has happened to all of us. Has your experience with the publishing world made you turn your back on traditional publishing completely or would you trust them again with a new book? I’ve managed to live long enough to appreciate the line, “Never say never.” But given the history related in Squelched, my assumption has long been that no traditional publisher would ever look seriously at any of my books. Tell us about your fiction books and how they came about. The Obsession began as a very brief anecdote from a close friend about a European woman who came to teach at a U.S. university and was harassed so badly that she had to return home. The rest I made up. Then the story just kept unreeling through The Disappearance and now I’m starting on Book 3, The Tryst. The new series of crime novels set in Detroit (The Car Bomb and Admission of Guilt) are full of stories I was steeped in two decades ago, back when I was making documentaries about crime in the city. Are you deliberately choosing odd or psychopathic subjects for your books? It looks like it, doesn’t it? But I’m certainly not the first writer drawn to extremes in personality and behaviour to fashion compelling stories in an effort to understand the strange and troubling times in which we live. How do you write? What is the environment like? I write in longhand on legal pads sitting in an armchair or on my laptop at a desk, or on my desktop computer—whatever feels good and seems productive. I’m very self-indulgent about my writing, and that’s part of the reason I like my own company enough to do it 10-12 hours a day. I try to write a fast first draft of chapter or section, and then I fuss and re-write and fuss and re-fuss and re-write and…you get the idea. I work in a small, well-lit office overlooking the beautiful back end of a condo complex. How long does it take you to write your books? Whatever it takes…several months, years, decades. Who does the editing for it and control the quality? I do, with a little help from a friend or two. How did you come up with the cover design? I’m a documentary maker and a self-styled photographer, so I more or less trust my eye. Usually a cover is a photograph that captures a crucial moment/place in the story. Professor Lina Lentini should have been played by a young Streep with red hair, but Lina didn’t exist back then. Who are your favourite authors? What is your favourite book? Crime: the incomparable Elmore Leonard. Contemporary Literary: Roth, McEwan, Amis. Too many favorite books to mention one. What are your plans for the future? What are your latest projects and where would we find out about them? Next I need to write the third novel in each of my series, The Tryst for The Truth Beauty Trilogy and Cinema Verite for The detroit im dyin Trilogy. Then there are finishing touches for a literary novel, Sicilian Quilt, and of all things what might pass for a romantic comedy, The Simple Life. 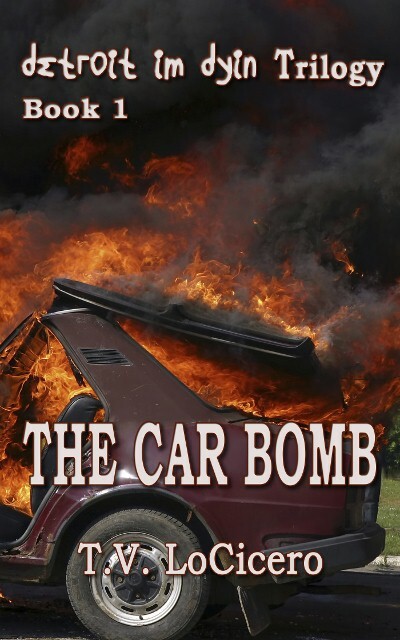 The Car Bomb is now available on Amazon in ebook or paper. Admission of Guilt in one month time. 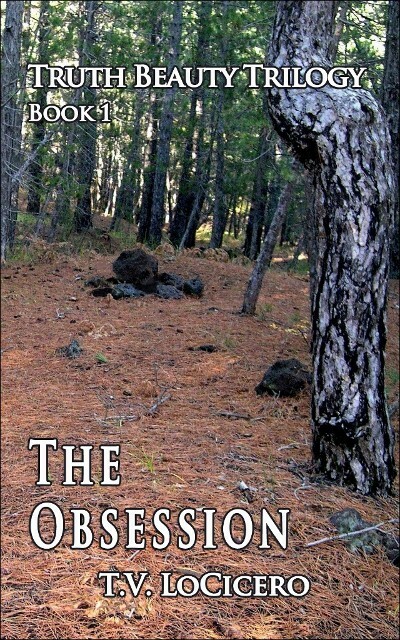 “The Obsession” by T.V. LoCicero is a dark and moody blend of genres; part psychological thriller, part romance and part murder mystery this is an engaging and captivating read. The story is that of the obsession teacher Stan has with an Italian woman, Lina, who comes to teach at his University for a term. Although not entirely disinterested in Stan, Lina however favours married man John and begins an affair with him. Stan turns from jealousy to obsessed to what I would call a psychpoath, committing ever more outrageous acts of intrusion and stalking behaviour. Unsuspecting Lina gradually comes to realise what a mad man she has at her hands. The tensions gradually grows, reminiscent in its best parts of Ian McEwan’s Saturday – a book that coincidentally is mentioned n the novel itself. LoCicero includes a lot of literary discussions between the characters as he describes their campus life. Written with an omniscient narrative LoCicero describes the thoughts and actions of the characters in turn, giving us an opportunity to discover their exact thoughts as well as know what they don’t, for example hinting at a mistake a murderer has just made. This tale with its subtle turns and twists stayed with me for some time after I read it. Maybe not comfortable reading for everyone, I for one recommend it happily to everyone who likes a bit of dark. Fans of Hitchcock can probably see it in their mind’s eyes. 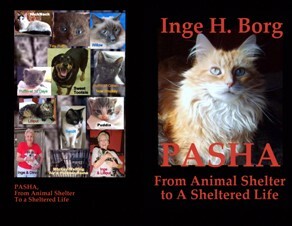 Today I was featured on http://ingehborg.blogspot.co.uk/, or rather my dogs were featured on a blog about writers and their animals, Inge H. Borg and her book Pasha. Christoph Fischer writes serious books—but when it comes to his dogs, he turns as playful as his puppies. I am glad that he allows us a glimpse into that other world of his, filled with the affection and energy of his rambunctious Labradoodles. 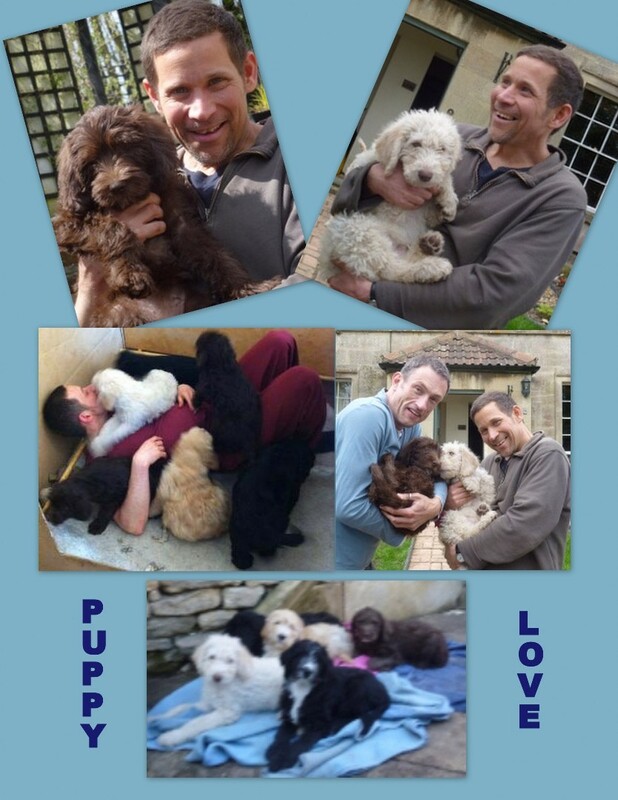 I used to be scared of dogs until I met my partner, who already had two Labradoodles: Molly and Greta. Soon I managed to overcome my silly fear and came to adore them, but they seemed suddenly far less interested in me than when I tried to avoid them. Now it was I who chased after them for attention and cuddles. It was ironic. For years I jogged and desperately tried to get away from the ‘hounds that would threaten my welfare.’ And now I could not get them to notice me. Faithful and loyal, they took their time to let me fully into their hearts. It took many walks, belly rubs, treats and time before they welcomed me into the pack. Molly remained my partner’s dog. But Greta, the younger one, and I fell madly in love with each other and have become an entity for eternity. Greta was also the name of my Grandmother who after her divorce lived with my grandaunt, Wilma. When we decided to have a third dog to keep the other two young (and to give me the full puppy experience) we had to name the new dog Wilma. Three times a day she wants to chase tennis balls in the garden and she will stare jealously at my computer screen if I don’t take enough breaks from writing my books. 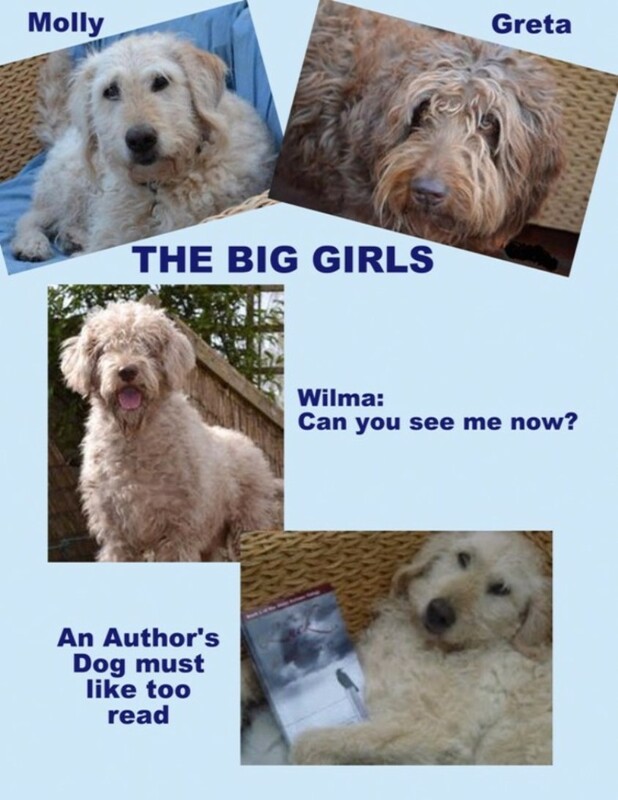 Strangely enough, when it came to name the characters of my first book, Greta and Wilma found themselves on top of my list. Greta Weissensteiner is the heroine of “The Luck of the Weissensteiners” and she has many qualities of my dog Greta: gentle, caring and patient. Her sister Wilma Weissensteiner, is like ‘our’ Wilma: a little more excitable and restless, yet also loving and most benign. 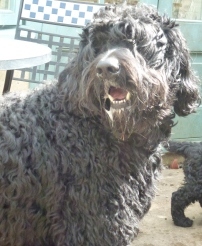 A black Labradoodle, named Gromit, also thought so and around Christmas time he could no longer control himself. Nine weeks later, Wilma had a litter of six: Mildred, Noah, Kiki, Ianto, Jude and Moses. They gave us a fantastic experience. From blind little squeeking mice-sized to vocal, playful and loving ten-kilo-creatures, they have dug their way into our hearts. ﻿One thing is certain, my future books will draw from their individual characters for years to come. It will be interesting to see how Christoph plans to weave some of the more exotic names into his stories (though I have a hunch he already knows). In the meantime, we have to contend ourselves with his first two published works. Christoph is a widely-traveled writer from Germany, based in the UK. His first book “The Luck of the Weissensteiners” is a historical novel set in 1930s and 1940s Slovakia and was published in November 2012. 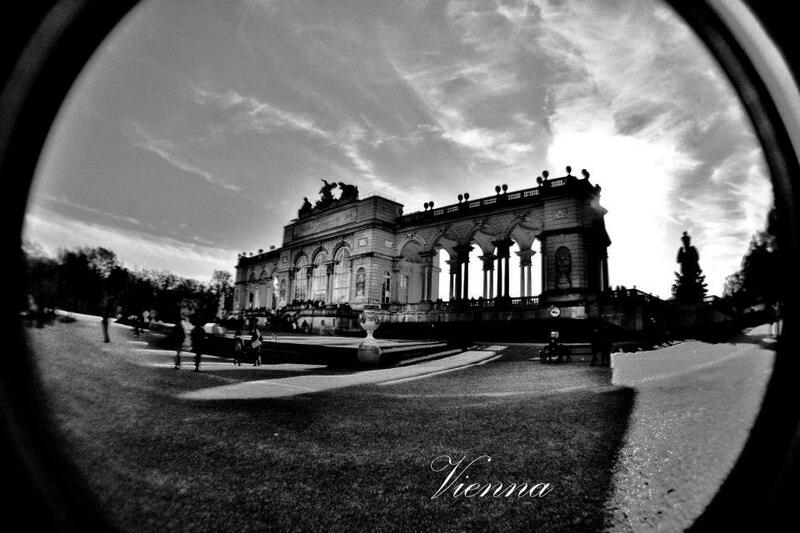 He just published “Sebastian,” another historical novel, set in Vienna in the 1910s. Christoph is also a reviewer of independent books and his recommendation pages on his blog feature interviews and reviews of the books that have most captured his attention and appreciation by genre. I am pleased to present the new Indietribe Showcase, a great selection this week, with my own new book SEBASTIAN featured as well. Please scroll down to this week’s Top Ten, filled with several books that have been featured on this blog. Welcome to the nineteenth Showcase. 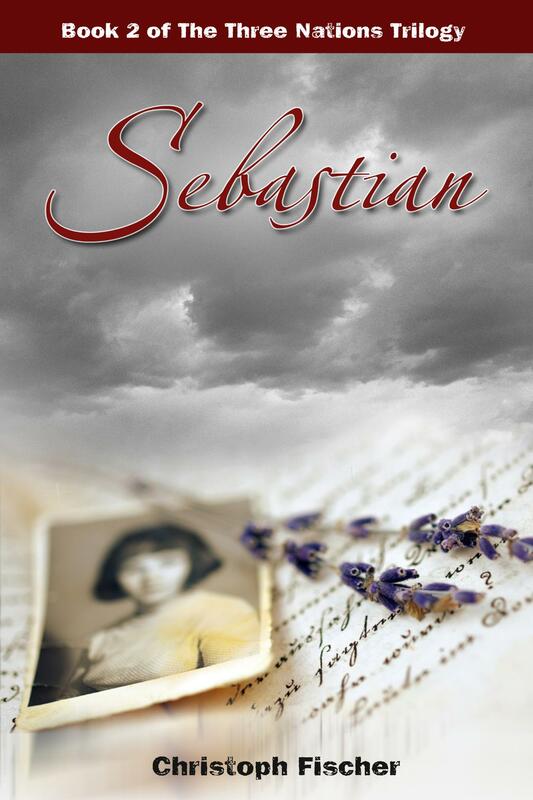 Sebastian is the story of a young man who has his leg amputated before World War I. When his father is drafted to the war it falls on to him to run the family grocery store in Vienna, to grow into his responsibilities, bear loss and uncertainty and hopefully find love. Sebastian Schreiber, his extended family, their friends and the store employees experience the ‘golden days’ of pre-war Vienna and the timed of the war and the end of the Monarchy while trying to make a living and to preserve what they hold dear. Fischer convincingly describes life in Vienna during the war, how it affected the people in an otherwise safe and prosperous location, the beginning of the end for the Monarchy, the arrival of modern thoughts and trends, the Viennese class system and the end of an era. 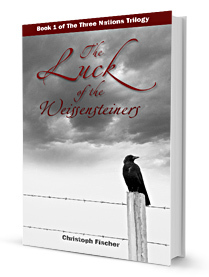 As in the first part of the trilogy, “The Luck of The Weissensteiners” we are confronted again with themes of identity, Nationality and borders. The step back in time made from Book 1 and the change of location from Slovakia to Austria enables the reader to see the parallels and the differences deliberately out of the sequential order. This helps to see one not as the consequence of the other, but to experience them as the momentary reality as it must have felt for the people at the time. Christoph Fischer was brought up near the Austrian border in Bavaria and has since lived in Hamburg, London, Brighton and Bath. 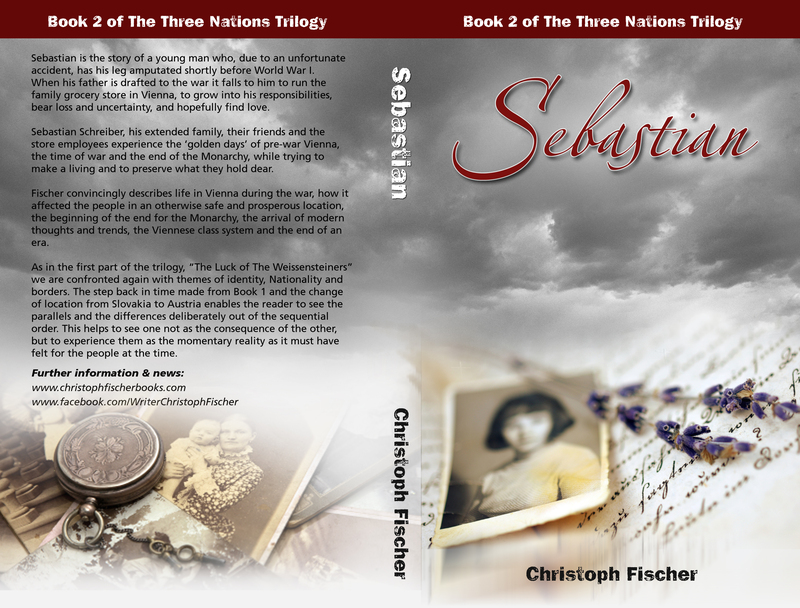 “Sebastian” is his second book and is part of the “Three Nations Trilogy”. WHITE JADE spins a web of deceit and murder across the globe, against the backdrop of a deadly international power game. Nick Carter is a man with a dark history of emotional and physical scars. 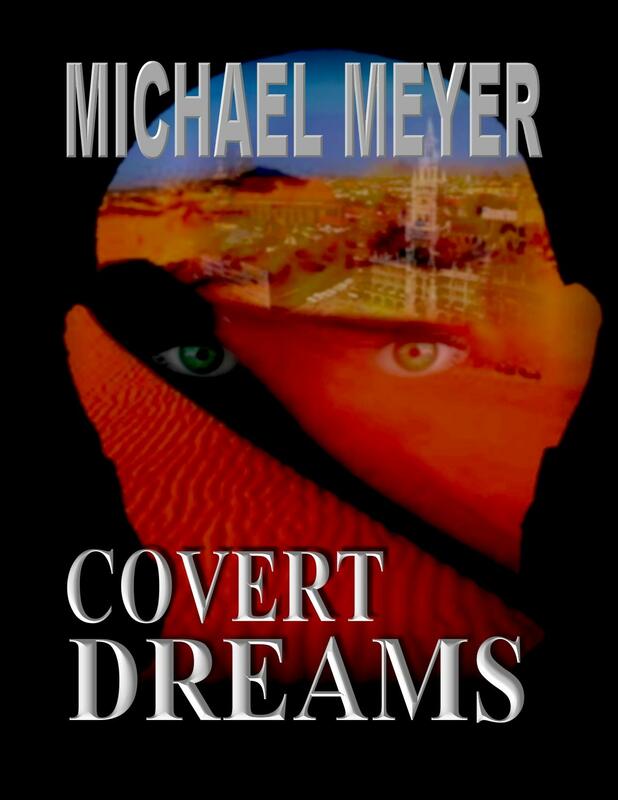 He works for the PROJECT, a covert intelligence unit reporting to the President. Selena Connor is an expert in ancient languages. When her wealthy uncle is murdered by someone looking for a 2000 year old book about the elixir of immortality, she’s thrown into Nick’s dangerous world. Nick is assigned to protect Selena and help her recover the missing text. It’s the beginning of a life and death adventure reaching from San Francisco to Beijing, from Washington to the high mountains of Tibet. 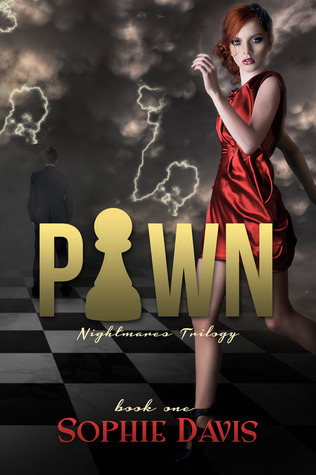 Someone is determined to take over China and attack America–and Nick and Selena are right in the line of fire.Alex has been writing since he was twelve. He’s done a lot of traveling and been in a lot of strange situations. He was in the Marines and spent years on the road as a professional folk singer. You could say that he brings a varied life experience to his writing. Someone is terrorizing the beach. They’re calling him the Beach Front Stabber. Sarah lives on the beach and but isn’t worried since her boyfriend is the sheriff. But then she discovers someone is trying to frame her for the murders and trying to make her think she is going crazy. No one believes her. What can she do? Besides writing mysteries, Peggy likes to read (anything she can get her hands on), paint landscapes in oil and in enamel on glass. She enjoys swimming and walking on the beach. A post-apocalyptic adventure set in plague-ridden mid-America. A troupe of traveling performers face an escalating series of troubles as they journey closer to the border of the Empire of Tockland. 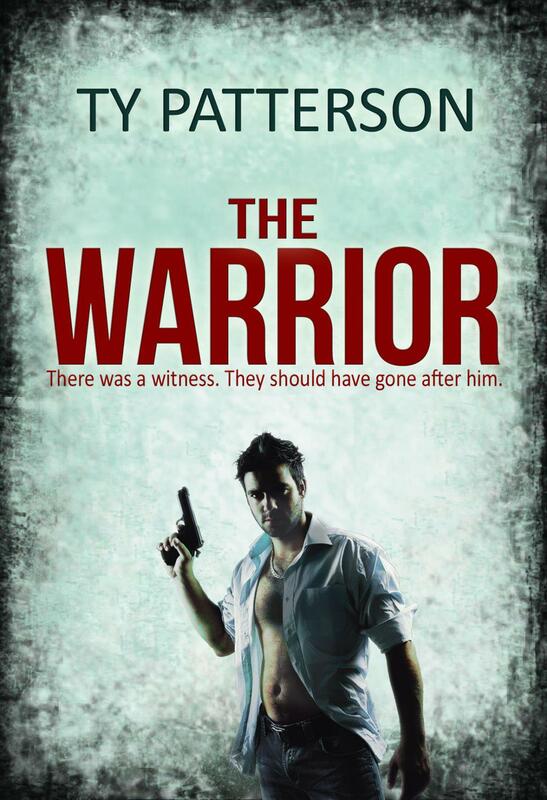 This is a harrowing tale, full of brutal fights, desperate escapes and quirky characters. Jeffrey Aaron Miller is a 1997 graduate of the Creative Writing program at the University of Arkansas. He has held a wide variety of jobs over the years, from social worker to bus driver, from postal carrier to pastor, but through it all, he has remained a storyteller. He is the author of numerous novels, both print and e-books, in the genres of science fiction, fantasy and YA. Set in the era of the Vietnam War, this is a love story of a young man and woman caught up in the throes of that time. CLAY STONER: Annapolis graduate, navy pilot, born and raised in the Ozarks, he’s a fun loving, carefree jet jockey…until he learns he is actually going to have to bomb real people. MARIANNA HAIZET: Daughter from a renowned Swiss banking family, sheltered in boarding schools while pursuing a career in music, has known little joy in life…until she meets Clay. OUR COUPLE meet by chance in Nice during a Bastille Day weekend and when they part neither imagines their lives will ever cross again. Val Sharp was a navy pilot during the era of this novel. Afterwards he obtained a Columbia MBA and enjoyed a second career as a Wall Street investment banker and finance company president. Savannah, fleeing a turbulent relationship, seeks solace at her brother’s country farmhouse. 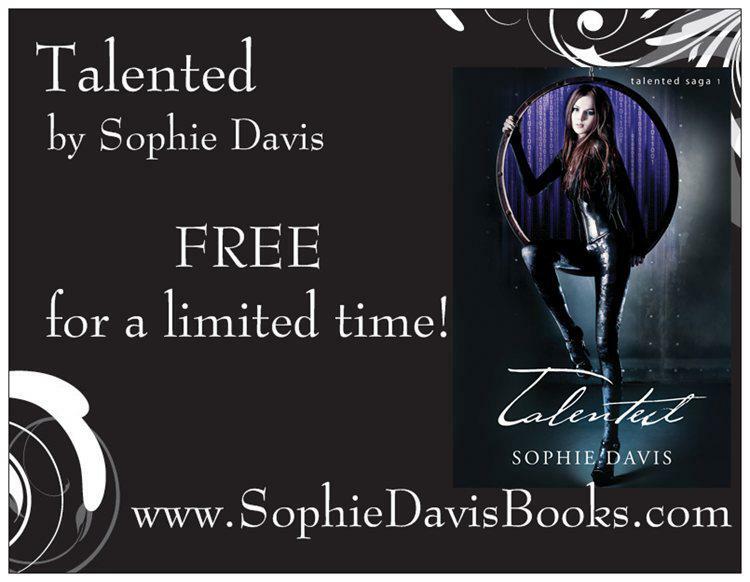 It’s there that she meets Kayden; he’s her brother’s slave and considered less than human. These two damaged souls form an unbreakable bond, one that’s about to be tested, because Kayden is her brother’s property and he will stop at nothing to keep them apart. Michelle grew up in south-east London. She now lives in the Kent countryside with her two grown-up sons. She published her first book, ‘In Chains’ in April 2013. Waking up beside the gorgeous Savannah Jones, John is shocked to learn she was for hire, and he can’t pay the price – a thousand pounds or broken legs. In desperation, he turns to best friend, Mark, for the money. Only one problem – Mark has a dagger in his back. In the early days of my youth, my family lived a nomadic life style–taking possession of unattended shelter wherever we could find it. We lived in tents, crumbling log cabins, abandoned houses, a barn, a school bus, and even a chicken coop. This is the tale of my life during those years as my mother and father slowly (but somewhat reluctantly) lifted themselves out of the post-Depression era into contemporary society. Although the author published more than 35 scientific and technical reports during his career, this book is his first serious attempt at Creative Nonfiction writing. Captain Ben Vorghees doesn’t know why his massive cruise liner is being tossed around like a toy in a bathtub. Ito Isaki becomes a hero for just a moment by rescuing much of the staff and guests at a Japanese resort hotel only to look up and see an unstoppable black monstrosity looming in front of him. For those of us who survived and exist in this rapidly changing, re-forming post-apocalyptic world it has become a matter of basic survival. We are certain there are survivors, individuals and small groups, yet we do not know how they will make it. There are no public utilities, no grocery stores and almost no modern forms of communication. Ethan Holmes is a rural Pennsylvania-bred author currently residing in Northern Arizona. Ethan realized in his mid-teens that people enjoyed his writing enough for him to see poetry and songs published. This graduated into short story writing, advertising production, article writing and later magazine features. 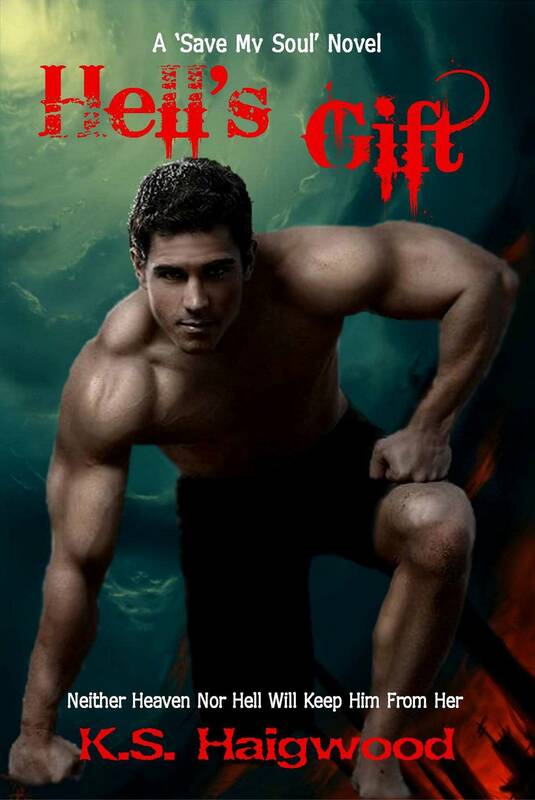 Approximately ten years ago Ethan took on the challenge of his first novel, Earth’s Blood. This is a gritty and gripping tale about the fictional town of Toomswood in 1870, five years after the Civil War a small withering town fighting in another war against a slick corrupt Mexican business tycoon and his army of undead Civil War soldiers. It focuses on the struggles people suffered after the war, western tale and themes, triumph and tragedy and an epic battle against the undead. While the first two chapters do cover some hints of real-life aspects during the Civil War, the book itself is entirely fiction. What happens when a wanted man in Mexico flees the country to take on an oil purchase in a small town on the border of Mississippi and Alabama? The same thing that happens when the son of a recently departed sheriff of the small town along with the rest of the town tries to stop him, They battle in an all out bloody war. When Javier “Bones” Jones acquires abilities from a mysterious stranger one night he then decides to take the town for everything it’s worth. 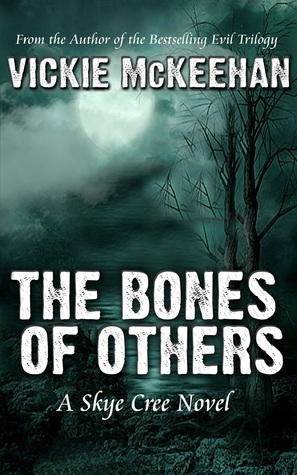 It is up to a young man by the name of Emerson Shaw along with the rest of the town to put a stop to Jones and his sinister agenda, from wreaking havoc and turning their home into a desolate ghost town. Justin Bienvenue lives in Massachusetts. He is a poet and author. 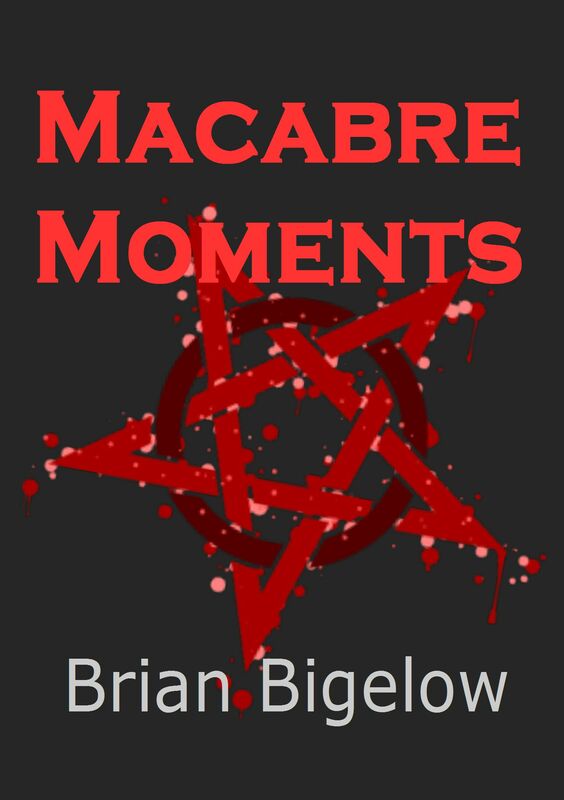 His first book was a book of horror poetry entitled “The Macabre Masterpiece: Poems of Horror and Gore” published in 2010. While he mainly enjoys writing poetry, he has recently expanded his horizons and started writing stories, narratives and short stories. I hope you’ve enjoyed this Showcase, and I look forward to publishing another one soon, with books from Sharon Owen, Morag Macallum, Ethan Holmes, Alex Lukeman, Jacob Singer, Frances Gilbert, Daniel Quentin Steele, Beem Weeks and Peggy Holloway. If you have more than one book to promote for the first time, click here to showcase. 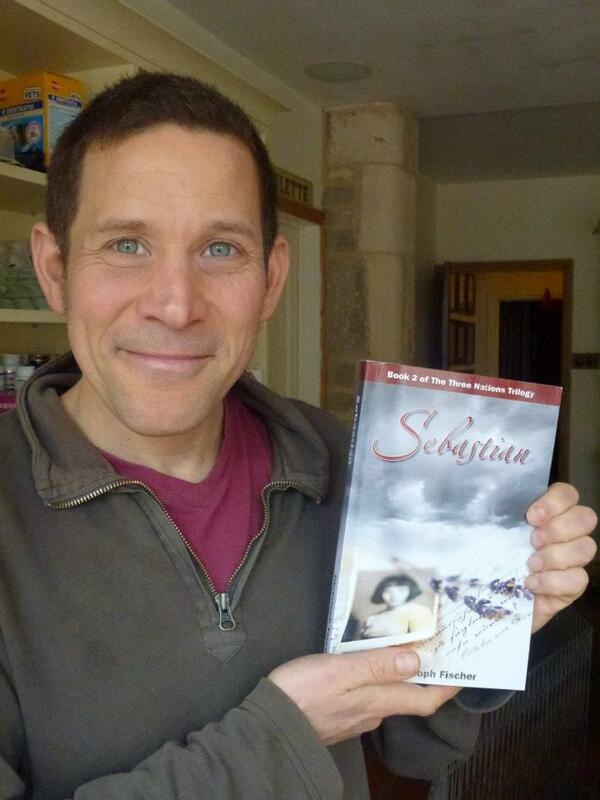 Two days ago I published my second book, SEBASTIAN. Here are a few thoughts about what motivated me to write it and answers to Some questions I have been asked about the book. “Sebastian” is the second book in my Three Nations Trilogy, a series on war torn Central Europe that focuses on how lives could be changed by politics and cultural and ethnic developments. “The Luck of the Weissensteiners” was about a group of Jewish and Catholic people in Slovakia during WWII, “Sebastian” is about a family in Vienna around WWI. The stories are using similar themes but are not connected directly. Sebastian is based on an idea I have always had of my grandfather when I was young. I unfortunately never met him because my grandfather had divorced my grandmother and lived with his new family on the other side of the Berlin Wall. None of us ever met them until the late Eighties, by which time my grandfather sadly had already passed on. Like Sebastian in my book he lost his leg due to an accident, which is at the heart of “Sebastian”, a young man who has to come to terms with this loss, his responsibilities and the life in a time where great political and personal changes bring in a new era. I already wrote about World War II in “The Luck of the Weissensteiners” and so I transferred the story to a different era. 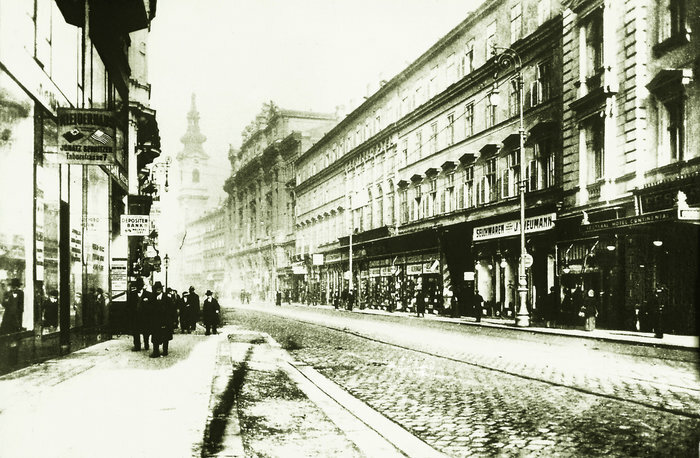 I had read and heard so much about that time and Vienna that it seemed the logical setting, particularly since it was described as a perfect place for Jews at the time, something that so often is referred to in literature that talks about the horrors that followed. Sebastian is an interesting character. How did you come up with the idea of him? As a gay man I was always fascinated and frightened by the ideals of ‘real’ men, strength and masculinity as their main attributes and the requirement to finding love. How could a man like my Sebastian find love? A friend of my father had a wooden leg and I was scared stiff of it when I was younger. Much later did I learn about my grandfather’s wooden leg. I was astonished to hear that my grandfather had divorced my grandmother and had easily re-married. Unfortunately I was able to learned only a little about my grandfather and his life from my aunt. Much of the details she gave me about his life and his rather philosophical and wonderful outlook on life have found their way into the actual grandfather figure in my book, Oscar, who becomes Sebastian’s best friend in my story and who helps him to find the right attitude. Did you have difficulties to decide as how to portray a disabled boy? Myself, I was not the strongest and sportiest of children and that probably leaked into Sebastian’s character as well. Expectations of what a man is supposed to be like and so on, all that feeds into his own journey of finding self-worth and confidence, something most of my characters in Sebastian have to struggle with, not just Sebastian. I did not mean to picture him as a victim; In those days as much as today many genuinely disadvantaged people try extra hard to compensate instead of looking after themselves properly. I wanted to show how strong and determined these people can be, that is why in his family almost everyone has an ailment of sorts, leaving him the strongest of the weak bunch. 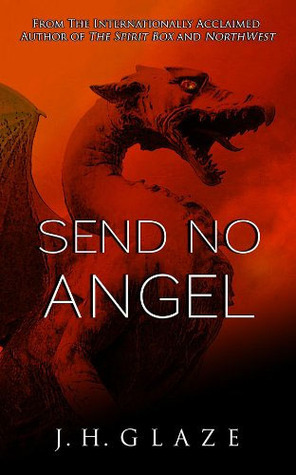 What is your message with this book? Always be the best that you can. Never settle for being second best. Love and be loved for the right reasons. Why did you set the second part of your Trilogy back in time to Vienna? 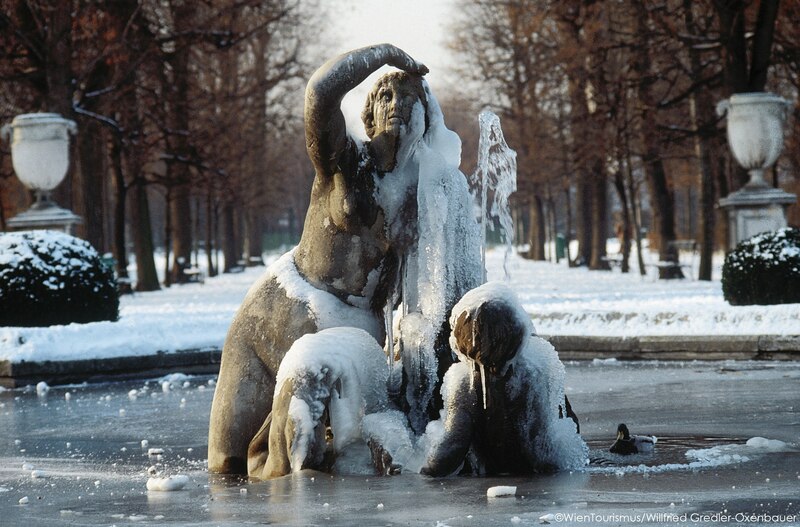 It has often been said that Vienna before the war was a golden era, for Jews and for Austrians. Especially during my research for “The Luck of the Weissensteiners” I came across many such statements and I wanted to clarify that myself, so I read a lot about it. The other reason was that the themes in the first book are often seen as a consequence of the times during which Sebastian is set. I realised how much I still had to learn about the times and delved into research. 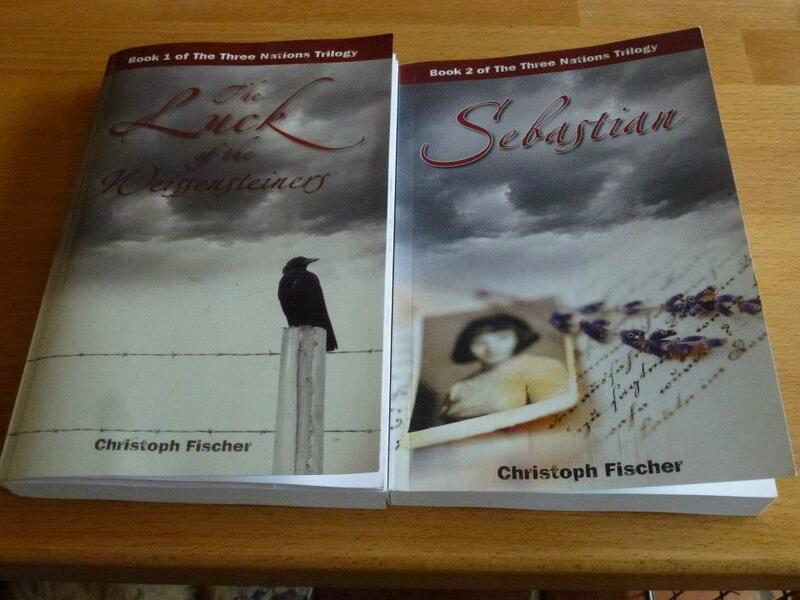 Since I had mentioned the consequences of the Habsburg Monarchy and the end of World War I already in “The Luck of the Weissensteiners” I did not need to repeat myself and go into the political aftermath but could stay focused on how society and life in general was changing in Vienna, which enabled me to make Sebastian the second instalment. Knowing what would become of Austria a mere 20 years later made me feel for my characters, who at that stage did not know anything about their future or the future of their newly formed country. Now we are at the concept of Nations, the title of your trilogy. Can you tell us about the idea behind that trilogy? In “The Luck of the Weissensteiners” I am doing a close up of one particularly affected country, Czechoslovakia and splitting from it, Slovakia. Even in that small new nation there are various ethnic groups, hinting at the difficulty to choose and defining a valid border with the many historic changes that have affected Central Europe over the decades and centuries even. The National Idea, taken to the extreme by Hitler, can destroy everything and everyone to the point that we see how ridiculous and meaningless such concepts can become in the face of human suffering. In Sebastian I am going back a step to a time when forcefully Nations were glued together with politics and force, despite their natural force to drift apart. The fall of Habsburg to me is a symbol for the infeasibility of forcing nations against their will and that the movement was born from a legitimate human desire for self-rule. In both books the political changes affect the people and in both books the characters overcome the barriers in their own ways and form their own leagues and bonds. Why is this so fascinating to you? I don’t think I am Nationalist of any kind but I am probably a little sensitised to the issue. I was raised in Bavaria but thanks to my father I had a different accent than the local Bavarian. I was singled out for it and queried about my origins almost on a daily basis because I did not fit in linguistically. Refugees from the Sudetenland were occasionally called foreigners and I learned soon what it felt like to be different even when you did not receive discriminatory behaviour. I was ready to leave for Hamburg, the North where they spoke ‘proper’ German, but to them I was clearly from the South and I wasn’t quite home there either.Now I live in the UK as a German, half my life spent as a different type of alien. I have always been confronted with stereotypes and the concept of being different, based on place of birth and language and have examined why neither place or Nation has managed to make me feel part of it. a marvellous and well-crafted story about the trials and tribulations of one family, about loyalty, about human failings, and the inner strength it takes to get through difficult times. Today is my first time as participant in a blog tour, playing it safe I am host for the magnificent Angella Graff and her book “The Judas Kiss”. 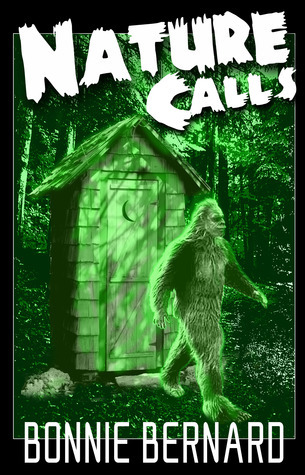 As special treat I have an excerpt from the book at the end of this feature that works as a stand alone short story and will give you an idea how talented a writer Angella Graff is. And don’t forget to enter the rafflecopter here for your chance to win a copy of The Judas Kiss. Click HERE to enter after leaving a comment on the blog! Judas’ Kiss haunts him two millenia into his unending existence. 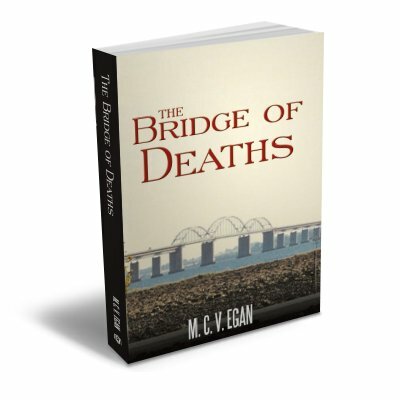 Torn between petty gods and their hunger for power, a faithless police officer slips further into machinations that have already cost the life of someone he loved. 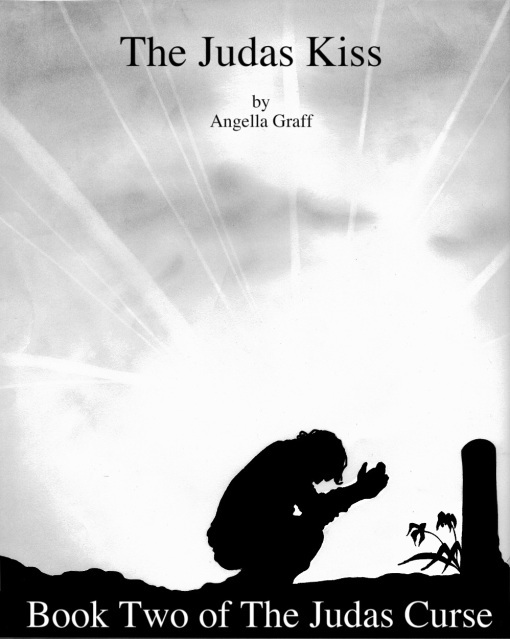 Mark’s story finally begins to unfold in the newest volume of Angella Graff’s well received series: The Judas Curse. Just as Detective Ben Stanford is ready to put the past at rest, he?s pulled down once again into the chaos of gods, theology, and mystery. Told that his sister is alive and the two immortals, Mark and Judas, have been kidnapped by the treacherous goddess, Nike, Ben must find a way to rescue the pair before she can harness their powers. While Mark waits alone, forced to write out the story of how their powers came to be, and Judas lay tortured by the angry Goddess, a reluctant Ben must enlist the help of an unwilling being from the ancient Norse Pantheon. Time is ticking, and the hard-headed detective must use everything he learned in the past to prevent another disaster, which could potentially wipe-out the human race. She now resides in Tucson with her husband Joshua, three children, Christian, Isabella and Adia, and their three cats, Archive (Ivy), Lasciel and Fix. She prefers to spend her days writing, gardening, and reading non-fiction theology theory books. 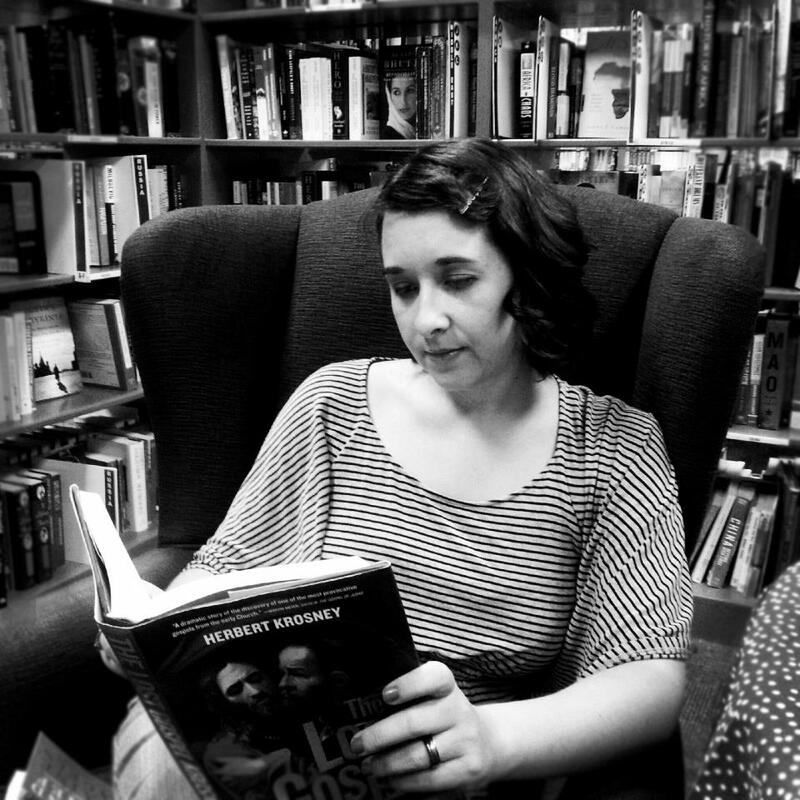 Angella is also an avid, if not fanatic fan of Doctor Who and BBC Sherlock, which tend to dominate her dry, sarcastic humor, a lot of which is apparent in her writing. Currently Angella is working on an Urban Fantasy series called The Judas Curse, involving extensive research into Mythos, Christianity and history. 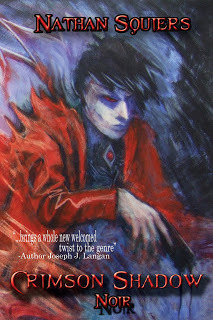 The first book of The Judas Curse, The Awakening, was released November 2012. I had one chance, and that was to beg Yosef to take me in. When my grandfather couldn’t find me, he’d eventually leave Alexandria and I would be free. I couldn’t live in the Senate and debate with those horrible old men about things I didn’t know or didn’t care about. I wanted to be free to learn everything, to take my place in my life with the people I chose, and I couldn’t have it any other way. Any other way, and I would die. It wasn’t long before my grandfather retired for the night; he was very old and when he slept, he didn’t hear me creep out the front door and hurry down the street. It was late, the moon was shining full overhead, and I navigated my way through the streets with ease. I knew the house of Yosef would be asleep, but I was counting on Yosef to be working fierce into the deep, early morning hours. I could hear the rough scraping sounds as he rubbed down wood as I turned the corner. Bypassing the front door, I crept to the side and around to the back where he was. 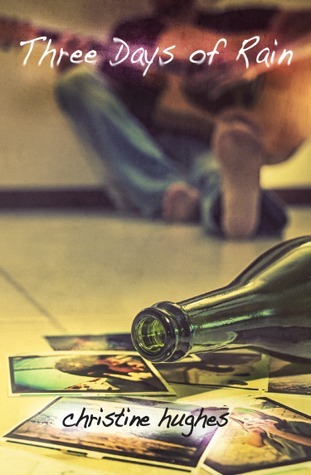 “My mother died,” I said miserably, and for the first time since she’d gone, I cried. I was just a small boy right in that moment, letting my sack slide down my leg and I crumpled to the ground. Yosef came around the table and picked me up, holding me tight as I sobbed, feeling her loss, grieving for the loss of her life, and the loss of the future that I had so desperately wanted. “Hush now,” he said, rocking me slightly. “I see,” he said slowly. “I’m just a kid,” I cried, and then fell again into sobs so fierce that as Yosef sat there and rubbed my back, I fell asleep. I woke the next morning lying on the floor next to Yehuda. Although the twins were mirror images of each other, I’d learned to recognize the subtle differences between them. Yeshua also carried a light but etched scar on his right temple, the product of an accident when he was very young. I scrubbed at my face, yawning and blinking against the sun’s first rays pouring in through the open door. As I stirred, Yehuda did as well, and he looked as surprised to see me as I was to find myself on their floor. “What are you doing here?” he asked, rubbing his eyes. “I um,” I said and looked around. My bag was lying in the corner of the room neatly, and I’d been tucked in by a rather rough covering made from material I didn’t recognize. “My mother died,” I finally said. This obviously worried Yehuda, and he crossed his arms as he stood up, stretching his back just a little. “Keeping you from your grandfather could put my parents in danger,” he warned. “I’ll hide. They’ll never know, and if they find me, I’ll take the blame,” I begged. “We’ll let you stay here, but if anyone comes looking for you, I’m afraid we’re going to have to turn you over,” came the soft voice of Maryam from the doorway. 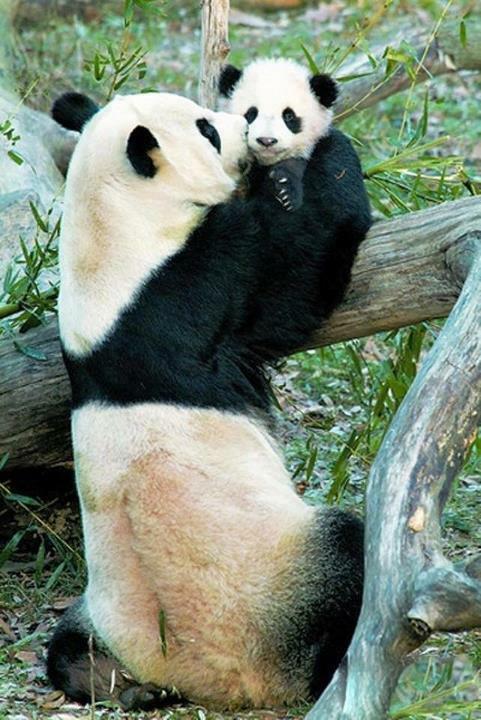 My eyes widened as I looked at her, and fought the urge to rush and hug her. My mother was gone now, and Maryam had always been so kind. “Thank you,” I whispered, trying my best not to cry. “You boys need to eat,” she said, nudging the sleeping form of her younger son Yaakov. The twins’ smaller sisters were already awake, playing loudly outside as Yosef helped prepare a breakfast of dried fish and bread. I offered them coins to help pay for food, but Yosef and Maryam refused to take money from me, claiming that they had no need of coins from a boy when they could feed me just fine. I didn’t argue, and simply followed the routine of the home, getting straight to work as I had done before my mother fell so ill. The hard labor of etching and carving, polishing and hammering took my mind off of my dead mother, and my possible fate if my grandfather found me and took me to Rome. As the day passed, every footfall I assumed was that of a Roman soldier coming to take me away from this family and force me back to a place I didn’t want to be. But every footfall turned out to be nothing, and by the time the sun set and we sat around preparing to sleep, I felt more and more at ease that maybe the old man had forgotten me. old man had died that night, and no one had bothered to look for the young child that escaped the house. The servants had been reassigned, the house sold, and my name had been forgotten. My father never inquired about me, and my brothers had gone on to train and die in the service of the Caesar. I’d been with the family of Yosef for almost half a year when it happened. It was the middle of the night, and we were sleeping soundly until I woke at the sounds of hushed, frantic voices. “You think they mean to come for him?” came the fierce whisper of Maryam. She and Yosef were in another room, but through the silence of the night, their voices carried. “I can only suspect yes,” Yosef replied in the same hushed manner. Yehuda, who lay beside me, shifted, and in the dark, I could just make out one of his eyes open. “What’s going on?” he whispered almost inaudibly. “They must be talking about the men from the East coming for your brother,” I whispered. The noise of footsteps caused Yehuda and I to throw ourselves back down and we both quickly tried to even our breaths, pretending to be asleep. Sounds of shuffling items filled the room, and after a few minutes, we were shaken awake. “What’s going on?” Yehuda asked, attempting to sound like he’d been fast asleep. “Where are we going?” Yeshua asked, now awake and attentive. “Back home. To Galilee,” Yosef said, his voice heavy and deep with regret. “You asked me to take you in as one of my own, and I’ve done so. If we leave, you will come with us. Now get to work,” he snapped, but the edge was absent from his voice. Flooded with pride and relief, I jumped up and began to grab and pack everything that Yosef pointed to. I wasn’t sure how we were going to carry it all, or how we were going to get to Galilee from Alexandria, but I was ready to go. Armed with packs of items from the home, and my small meager belongings, we started out on the road. Sebastian is based on an idea I have always had of my grandfather when I was young. I unfortunately never met him because he divorced my grandmother and lived with his new family on the other side of the Berlin Wall. We never knew any of them until the late Eighties, by which time my grandfather sadly had already passed on. He lost his leg due to an accident, which is at the heart of my book “Sebastian”, a young man who has to come to terms with this loss, his responsibilities and the life in a time where great political and personal changes bring in a new era. What a marvelous and well-crafted story Christoph Fischer’s Sebastian is. The story starts with a young sixteen-year-old boy, Sebastian, receiving an amputation to his leg for an infection, from a rusty nail, that went untreated, due to fear of doctors and needles. The reader is instantly drawn in to this protagonist and his mother, Vera, as well as the medical situation that lingers throughout the story that takes twists and turns along with the plots and subplots to help define a character that goes from being weak to growing an inner strength and beauty. Sebastian’s story is the story of his family, the women who enter his life and the war that surrounds and defines them all. 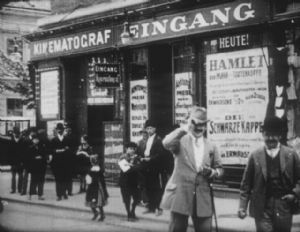 The scenes begin with Sebastian living in a dwelling that houses the grocery store his father Franz works in, that was owned by his father, Oscar, (also Sebastian’s best friend). Also living with them is Oscar’s wife Rebecca who is mostly bed ridden with a bad back, his mother Vera who has a weakened condition. Sebastian is in and out of the hospital with complications from problematic healing leg. Because of the strain on the family workload help is needed and enters a beautiful 18-year-old Ingeborg who becomes infatuated with Franz to complicate matters and ends up with her being replaced by Eva who Sebastian has a crush on as he begins to come into maturity and is sexual hormones awaken. Eva has her own secret that unfolds in a fascinating way opening to a new hire, Margit and her mother, Peroska. When Concurrent with Sebastian becoming involved with Margit his mother, Vera, connects up with friends who play key roles in throwing twists and turns into the story, which involve mystical aspects, séances and connecting with the afterlife. A revelation and slip of communication sends all their lives into chaos and the war in the backdrop takes center stage as the story moves along poignantly and engaging the reader with great depth. This is a time of great turmoil for people of Jewish faith, where divides are drawn with nations geography being molded and remolded, threatening to unsettle and disrupt millions of peoples. Sebastian’s story is a metaphor for lives thrown into turmoil because of war and what war does to individuals separately and as citizens. 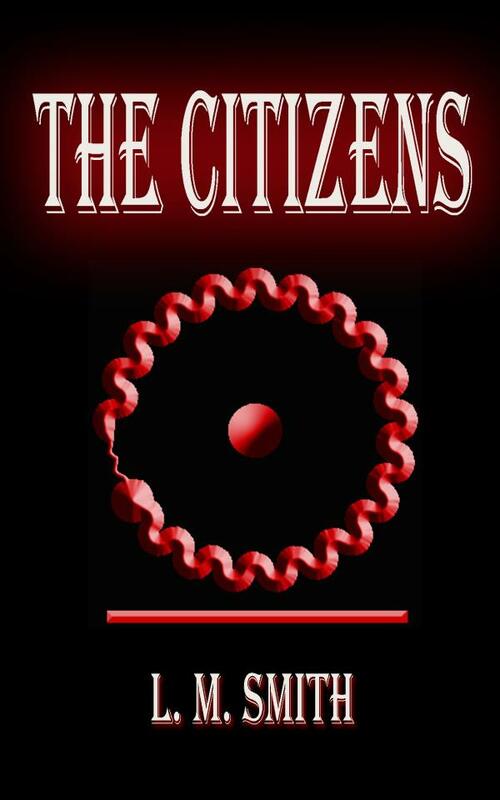 It is a story of how the human condition and stresses become heightened and exaggerated when threatened by personal and geographic political evils. This is a story of great compassion and selfishness, of jealousy and love, of loss and risking, of having material and losing it all, of families and finding out what is important, of loyalty and betrayal. It is a story that runs deep in all of us, with emotions displaying what it is to be human. It is a story of every man and every woman with themes and messages that any reader can relate to, right down to the surprise and unexpected ending, which is how we do live our lives, after all is said and done. This intelligently and sensitively crafted story pulls the reader in, pulls at our heart strings, and keeps us glued to the page, long after the last one is closed, and the memory of Sebastian lingers, one that won’t be easily or readily forgotten. I loved Sebastian. Christoph Fischer’s Sebastian is a very enjoyable read. I had already read something by this author, The Luck of the Weissensteiners, and really enjoyed that so when this one came out I was ready for it. It did not disappoint. Although the story follows a teenage boy into young adulthood it is not just his story, rather it is one of relationships and the transience of ones involvement in them, and all things. The backdrop of a Baltic war is never far from the forefront although this story line does not dwell in any battlefront scenes, which appealed to me. I thought it was clever how the author once again draws from history to create an illusive energy throughout the story, a tension that enters into Sebastian and his relationship with his mother, father, grandparents, romantic interests, and his jobs. The scenes were well written, the characters developed nicely, and the story charming, intriguing and poignant, holding my interest throughout the read. It’s a good read for the entire family.